WHAT SHOULD I EXPECT IF I AM HOSPITALIZED? This section includes information on inpatient activities, length of stay, and concerns about confidentiality. Assignment to a Professional, Interdisciplinary Treatment Team. When admitted, you will likely be assigned to a treatment team including an attending physician, nurse, social worker, and others. The members of the team are there to address your specific needs during your stay. Remember: You too are an important member of your treatment team. Regular Meetings with Your Treatment Team. Your treatment team will meet with you regularly, perhaps daily, to talk about your immediate needs. The team’s main goal is to get you feeling better and back into your daily routine. Members of the team are available for any questions you may have during your stay. Group Activities. Activities such as morning stretch and DBT teach coping skills that you can use while you are in the hospital and once you leave to help you manage your mental health. Group activities also provide you with the opportunity to talk with other patients and see firsthand that others are dealing with many of the same concerns you are facing. Discharge Planning. Near the end of your stay, your treatment team will help you make a plan for when you leave the hospital. This discharge process may include finding an outpatient psychiatrist or therapist, joining a support group, making academic arrangements, making a safety plan, or accessing community resources. To reduce the severity of your symptoms and increase your level of functioning through treatment. To determine a diagnosis, if one has not already been made. To provide you with information and coping skills to better equip you to manage your mental health outside of the hospital. To work with you to create a plan for ongoing treatment. WHO WILL BE CONTACTED ABOUT MY HOSPITALIZATION? Your treatment in the inpatient unit is confidential. If you have an outpatient health care provider, they may be contacted ONLY if you first provide written consent by completing and signing a release of information form. Try to keep your care provider informed to receive the best care possible. A social worker will help you contact the Dean of Students Office. Their staff is prepared to support you and can contact your RA, instructors, or others if needed. All contacts are made with your permission and with sensitivity to your right to privacy. It can be helpful to contact supportive friends and family members as well. Your treatment team can contact them for you, but ONLY if you consent for them to do so. If you are living in a residence hall, you might want to ask someone to contact your Resident Advisor (RA) on your behalf to let them know that you are safe. Health should always come first. You will be much more productive in your classes once you are feeling better. However, if it is helpful for you to work on academics, and it is OK with your treatment team, you can work on some assignments. Ask a friend or a classmate to bring materials to you. Additionally, it could be good to contact the Dean of Students Office (734-764-7420). If you do so, a notification will be sent to your college stating that you are unable to attend class due to a hospitalization. The diagnosis and location will not be included in the notification. Once you leave the hospital, you can work with others to make a back-to-school plan. Take care of yourself. While you may want to jump right back into classes, homework and everything else you have to do, it is essential that you put your mental health first. Take some time to rest. Do something relaxing that you enjoy. Try to avoid activities that cause you stress or frustration. It may take some time before you are able to take on as many responsibilities as you would like. Be patient with yourself and what you’re able to do. If you are faced with an overwhelming decision, seek help from a mental health professional, academic counselor, family member, or friend. You don’t have to make big decisions on your own. Contact the Dean of Students Office as soon as possible to help you transition back to classes. If you already have an established relationship with an academic advisor or staff person at the Dean of Students Office, contact that person first. If necessary, obtain a medical note to excuse your absence and provide it to your professors and GSIs. Hospital staff can provide you a general note that will not give details about your condition or why you were there. E-mail each professor/GSI to request a one-on-one meeting. When you meet with your professor/GSI, you are not required to give any information about your condition. Provide whatever details you feel comfortable sharing. Professors and GSIs are usually very helpful. However, if you run into any problems, you can contact Services for Students with Disabilities (SSWD), the Dean of Students Office, or the Office of the Ombuds for help. You might feel more comfortable talking to your professors/GSIs if you write down what you’re going to say ahead of time. An important part of your time at the hospital will be developing a plan for staying healthy after leaving the hospital. Your plan should include both professional treatment and self-care strategies. If you are preparing to leave the hospital, see our discharge checklist to help you remember some last minute details. Treatment: If you don’t currently have an outpatient healthcare provider, you will need to find one. Hospital staff can help with this. 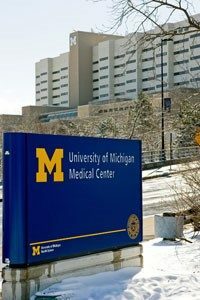 You may also visit our “Find Treatment Services” section to learn about your treatment options and other support services available to you at the University of Michigan and in the Ann Arbor community. You should leave with a detailed plan of what you need to do, which will include scheduling an initial outpatient appointment time. You may want to think about what you want to discuss with your outpatient care provider before your first appointment. Fill out this “My First Appointment” sheet to organize your thoughts and record important information about the date and time of your first appointment. Self-care and coping skills: During your hospitalization, you will be given ideas for new coping skills you can try and other ways to stay healthy and manage your mental health. You can incorporate these ideas into your plan for mental health and wellness. See the list below for quick tips on taking care of your mental health, and visit the self-care section of this site for more information and strategies for staying healthy. Always take your medications as prescribed. Know why you are taking them and what side effects you might experience. Maintain regular sleep as much as possible. It might be very hard during high-stress times like finals, but is still vital. Learn as much about your mental illness as you can. Work with your care provider to figure out the warning signs that might mean an episode is coming. Have regular appointments with a care provider with whom you are comfortable. Don’t be afraid to change providers if you need to! Always keep your provider informed about what is going on in your life. Learn about ways to take care of yourself and find helpful tips, tools, and resources in the self-care section of this website. Schedule enjoyable activities outside of your classes, grad school applications, MCAT/LSAT/GRE stress, jobs, and other stressors. Bring an Instructor Meeting Form with you when you meet with your professor or GSI after being hospitalized can be a helpful way to stay organized. If you’ve missed a significant amount of class or feel that reducing your course load or withdrawing from classes would benefit your treatment and recovery, talk with an academic advisor about your options. 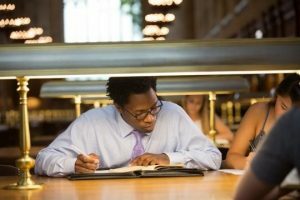 Visit the academics section of this website for tips for managing academic stress.